Cutting: Our first place wine has strong plum, black cherry, cocoa and spice characteristics. The Rosenblum Cullinane Reserve Zinfandel from Sonoma County ranked first in our tasting. 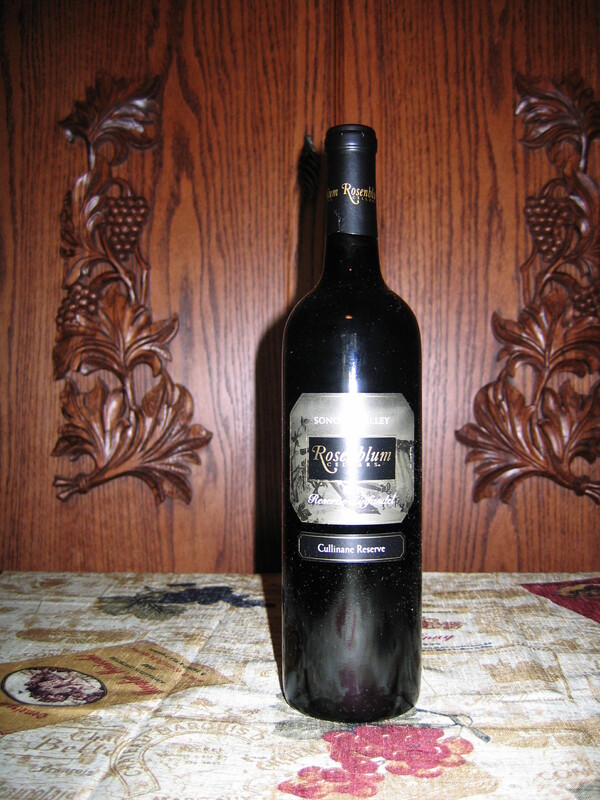 It features strong plum, black cherry, cocoa and spice aromas and flavors with a long finish. A fairly complex wine. All tasters ranked this among the top wines in the tasting.